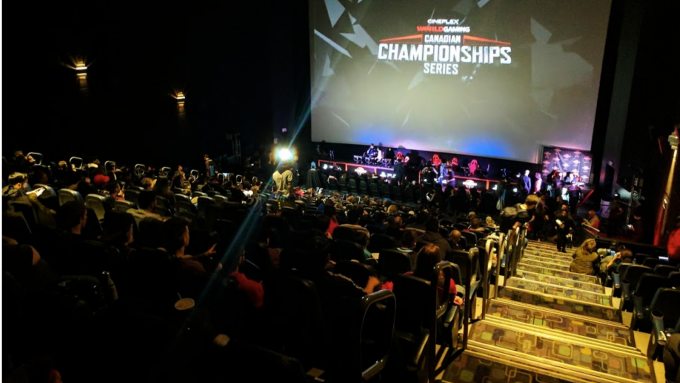 Call of Duty: WorldGaming Canadian Championships | SplashMM Inc.
On February 26th, SplashMM teamed up with WorldGaming to support the Regional Qualifiers in multiple Cineplex Theatre locations across Canada. After players qualified online, COD: Infinite Warfare teams battled for the Regional title and for their highly sought after position in the 2017 Call of Duty: Infinite Warfare Canadian Championships at Cineplex Scotiabank Theatre in Toronto on March 26th. SplashMM provided turnkey event planning, hosting and tournament execution during both the qualifiers and final events, ensuring flawless execution and a fantastic live tournament for both players and spectators! From the qualifiers to the big show finale, SplashMM helped bring the spirit of COD: Infinite Warfare and the amazing players together in an epic battle for top spot. “SetToDestroyX” came out victorious with not only bragging rights, but a cheque for $20,000 and a highly sought after spot in the CWL Anaheim Open. Check out the 2016 COD Finals vid here, and some pics from the 2017 COD Finals below.